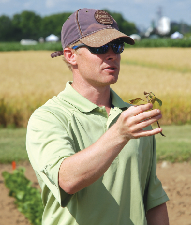 For over 30 years, the Ontario Agriculture Weed’s team has competed in the Collegiate Weed Science Competition organized by the North Eastern Weed Science Society. In preparation for the “herbicide identification” portion of the competition, an area at the Elora Research Station is planted to a number of different crop and weed species and then sprayed with several herbicides. 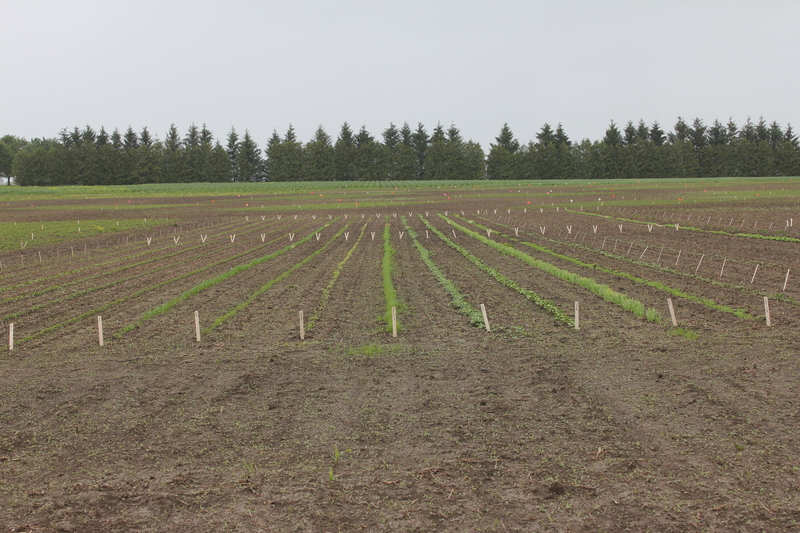 The herbicide identification training plot at the Elora Research Station typically contains over 30 herbicide treatments sprayed across over 20 different plant species. 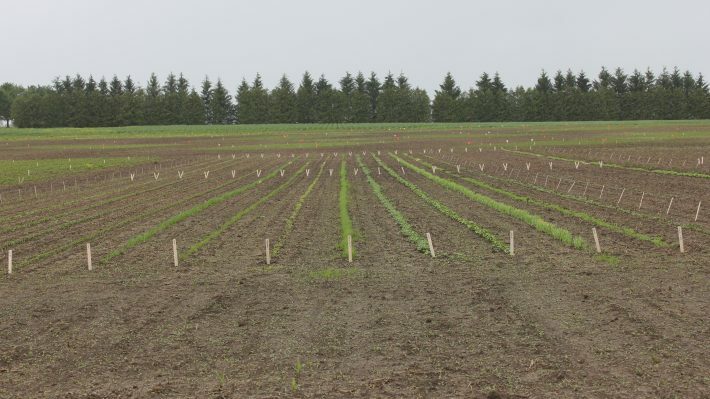 This training plot provides an opportunity to look for potential new herbicide options in crops that perhaps don’t get a lot of attention (e.g. forage, pumpkins). It gives insight into how sensitive crops would be to an off-target herbicide drift event or tank contamination and it allows us to look at cover crop sensitivity to herbicides. In the past, I would rate herbicide injury to each crop on a scale of 0 to 100% where 0% means “no observed affect” and 100% means “dead”. I would also take photos of any dramatic and visual responses. These ratings and photos have mainly been left on my computer for my own use but I thought it might be a good idea to make these observations public. This post will serve as a landing page for summaries of crop responses to different herbicides applied prior to and after their emergence.